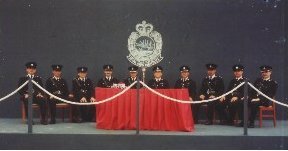 Set up in 1984, we are a well-established police props company serving the film , TV and advertising industries. We provide an assortment of police props such as patrol cars, police vans, ambulance, uniform, armoured vests and barricades. 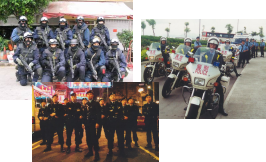 We can also arrange members of the auxiliary police to act in the films. We have participated in numerous film and TV productions. Those best known films include "Police Story", "The Final Option", "Project S", "Lifeline", "The Tigers", "Largowinch", "Gen-X Cops", "Dark K Night","i come with the rain",, "Fearless Match" and "City Cop". 新一代警察道具_版權所有 不得轉載 Copyright c 2009-2012 New Generation Policeprops All Rights Reserved.